As you can see in your treatment plan, our packages contain two airport transfers. 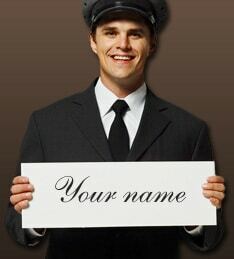 Our driver will be waiting for you at the airport, holding a plate stating your name, and he will take you to your accommodation. After you have arranged an appointment at our clinic, please send us the flight number and the exact time of arrival and departure, thus we can organise the transfer and inform our driver. If you chose to book your accommodation for yourself, please send us its address. If your flight got delayed or cancelled please inform us as soon as possible.